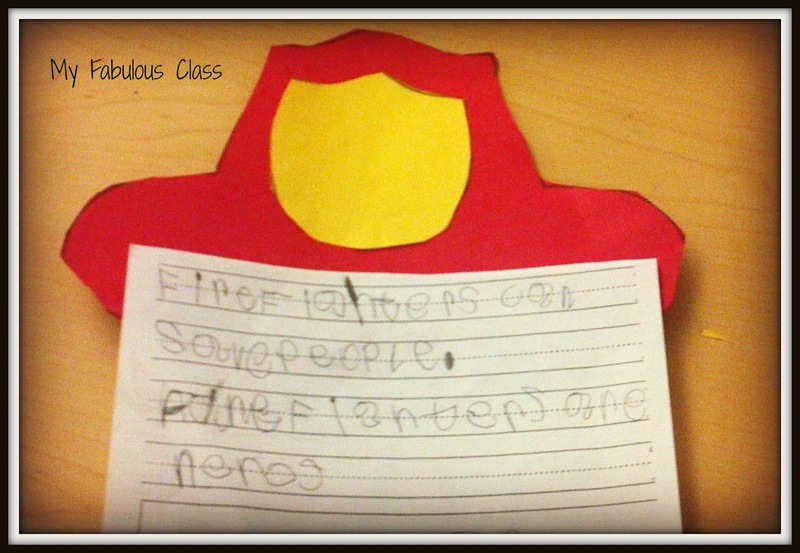 This week, the firefighters came to our school. The kids got to see how the firefighters dress. They got to see a firetruck. They EVEN got to crawl through a "smokey house." It was so much fun AND they learned a lot! 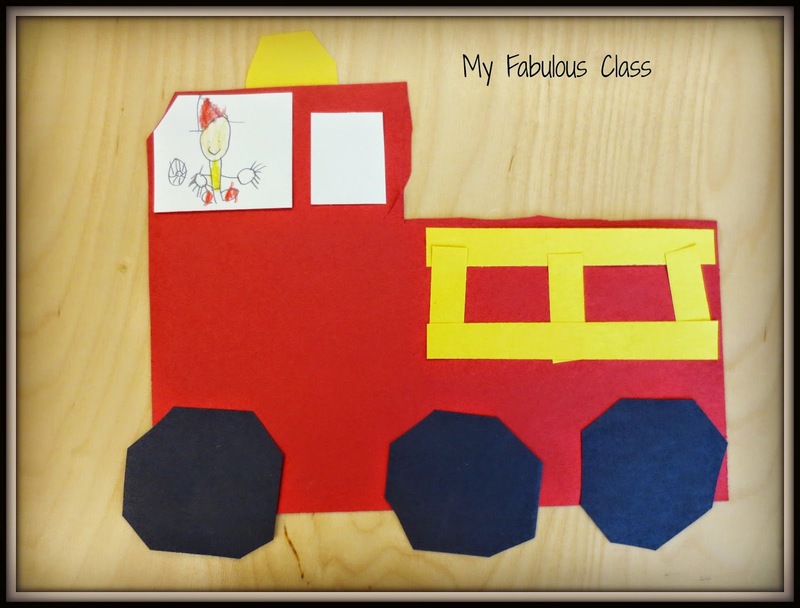 We made these adorable firetrucks. They were so easy and the kids thought they were the best thing since peanut butter and jelly. 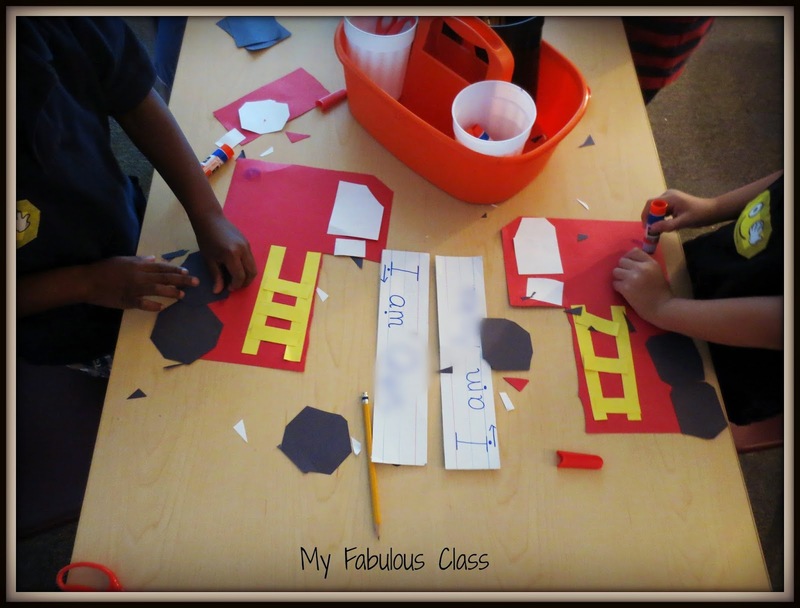 I'm not going to lie...I made up the firetruck in the work room THAT MORNING! It was great for following directions. I modeled step by step how to make it on the document camera. 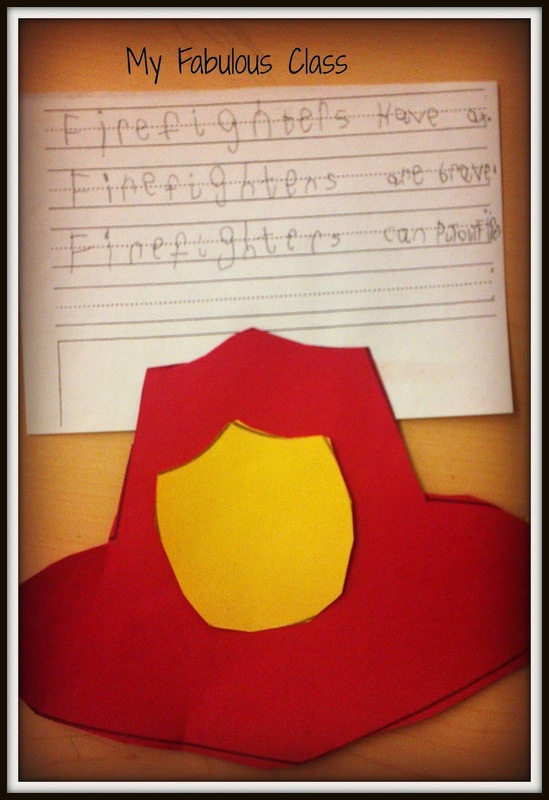 We made a thinking map about Firefighters and talked about what they can do, what they have, and what they are. Then, they picked one or two things to write. A few of my kids are not ready to write a complete sentence so they just wrote a word or two. The hats were FREE from Cupcake for the Teacher. 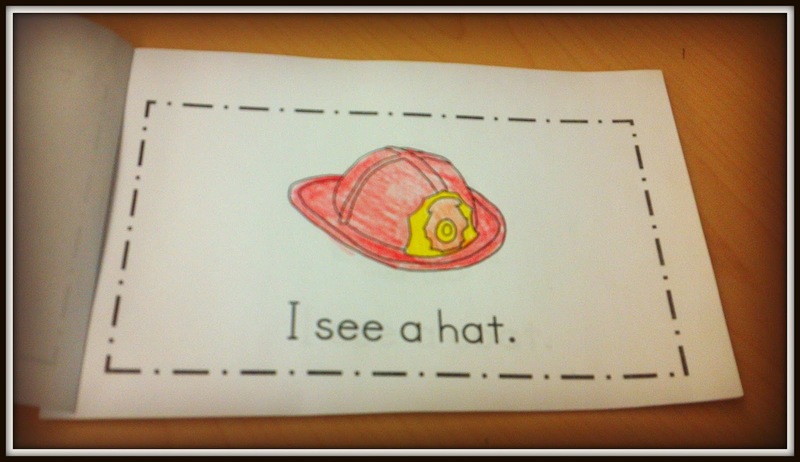 We have been working on the word see so this emergent readers was PERFECT. You can get it FREE HERE. Don't you love these adorable thank you cards? 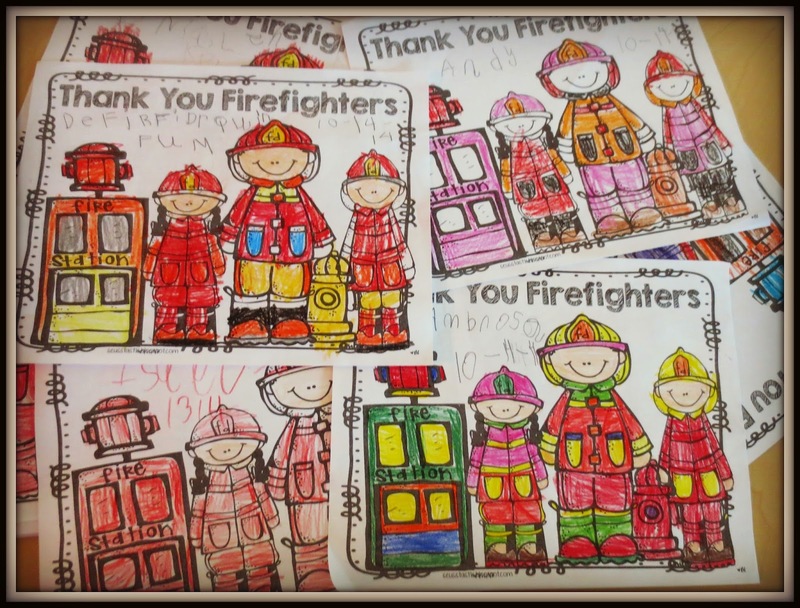 We colored them in the morning and then gave them to the firefighters that came to the school. Mel D-Seusstastic has a whole set of American Hero Printables FREE in her store. I really like this little video about fire safety. It is less than 5 minutes but provides a lot of information. Next, we are learning all about spiders. I LOVE OCTOBER!